Hailing from Southern California, Jake Lobel and Jeff Kassel sent it to CU and co-created MTNMEN in their Sewall dorm room during their freshman year. Now, MTNMEN are juniors succeeded in hitting the "all" in "all or nothing." From performing at music festivals around the country to west coast college parties, Jeff and Jake have a lot of experience despite their young age. 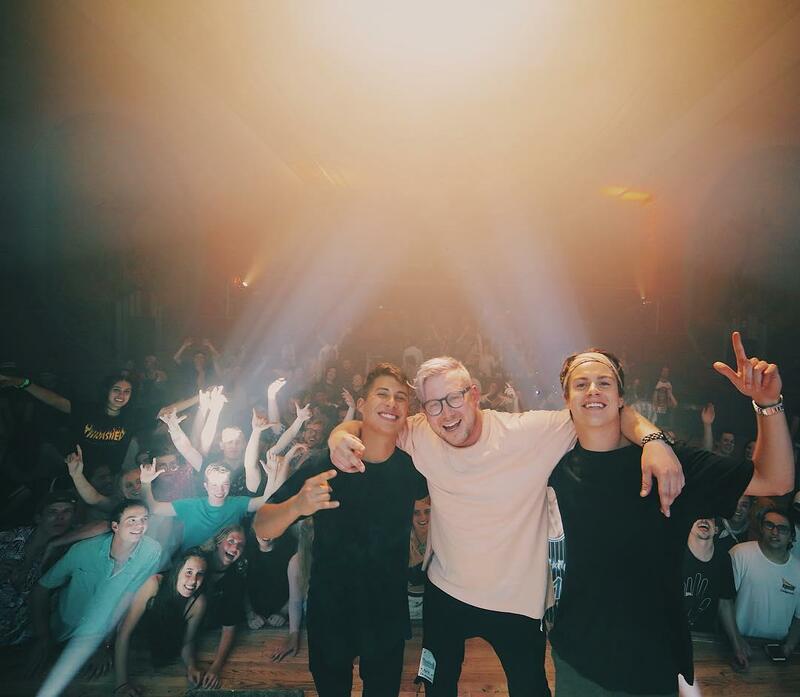 The Tab talked to the guys, who are opening for Vanic and other big names tonight at Welcomefest on Farrand Field, and we got all the details on what really went down behind the scenes in the making of MTNMEN and what they have planned for the future. Fun Fact: MTNMEN will be performing at this year's Welcomefest on Farrand Field and there's free admission with a valid Buff One! Show the guys some support and enjoy some solid music August 26th. Vanic, Big Baby D.R.A.M, and NONAME will also be there, so you don't wanna miss this event. When Jeff was about six years old, his parents "forced [him] to do the whole piano teacher thing to get to learn music for around two years." Now, he'll admit that he "never liked being forced to do anything, so [he] decided to let it go." At around age 12, [he] started playing drums at [his] best friend, Bailey's, house [because] their parents had a full band studio." From there, Jeff picked up the drums and "ended up really liking it" and asked his parents if he could start learning the drums. At about 16, Jeff got an electric drum kit for his room, and has pursued music steadily since. MTNMEN cites NGTMRE, Datsike, Slander, Tchami, Skrillex, Zeds Dead, Flume, Odesza, and Louis the Child as some of their biggest influences. They "really love how some artists are creating massive collectives, like OWSLA and Dimmak and the whole music, art, and fashion culture that comes with it." The guys point out how "the music scene is always expanding with new sounds and new creations and new music platforms to post on, especially with electronic dance music." Jeff mentions how "new artists always tend to blow [his] mind with new creations such as Flume's new EP Skin, to Illenium coming out with these emotional tracks." How would they describe their sound? They say that "one thing about MTNMEN so far is [they] have been producing a bunch of different sounds, such as "NOVA" being more of a melodic, happy sound, "The Light" keeping the audience at an energetic mood, then to "Run The Street" where [they] decided to try out a bass house track." One thing that sets them apart from other artists? When they get on stage, "it's not just one genre that is played and performed, [they] make it a mission to make that set time the most memorable performance for each individual to feel a connection and to come out of the venue saying MTNMEN has truly set the bar for how performances should be played." Lately, they've been "working on a ton of stuff," including their first song to be released on all music platforms, "ALIVE." Behind the scenes, they're "making connections" to help them "get to that next level." Freshman year, they "realized that MTNMEN was an all or nothing idea," and they had to "go for the gold or don't go for it at all," and they certainly seem to be headed for gold. Fun Fact #2: MTNMEN "all began in good old Sewall 115." The name MTNMEN just "kinda came" to the guys, and they "liked the clean and simplistic look of the abbreviation and figured it went will the home base, Boulder, Colorado." Jake grew up playing piano since he was six years old, mainly "playing at recitals and school events." He started with classical music, but "as [he] eventually got older, [he] started writing [his] own pieces and melodies and playing music that was more current." By age 13, he started "messing around with other instruments, including drums and guitar and eventually took a break with instruments during [his] high school career and started listening and exposing [himself] to tons of music." Eventually, the rock and roll, alternative, jazz, and hip hop led to electronic dance music. Jake says "it wasn't until freshman year of college when [he] started producing original music on platforms such as FL Studio, Logic, and then eventually [he] fell in love with Ableton," which is still his favorite software to use today. Jake says that "producing music is equivalent to magic" and that "when you create something totally from scratch and it sounds beautiful to your ears, it gives you one of the happiest feelings." The proudest moment of MTNMEN's career thus far? "The day [they] wrote down 'MTNMEN' on a piece of paper and said, 'this is our name and we have to make it our goal to play the Fox Theatre and the Boulder Theatre before sophomore year ends.'" And, they did just that. 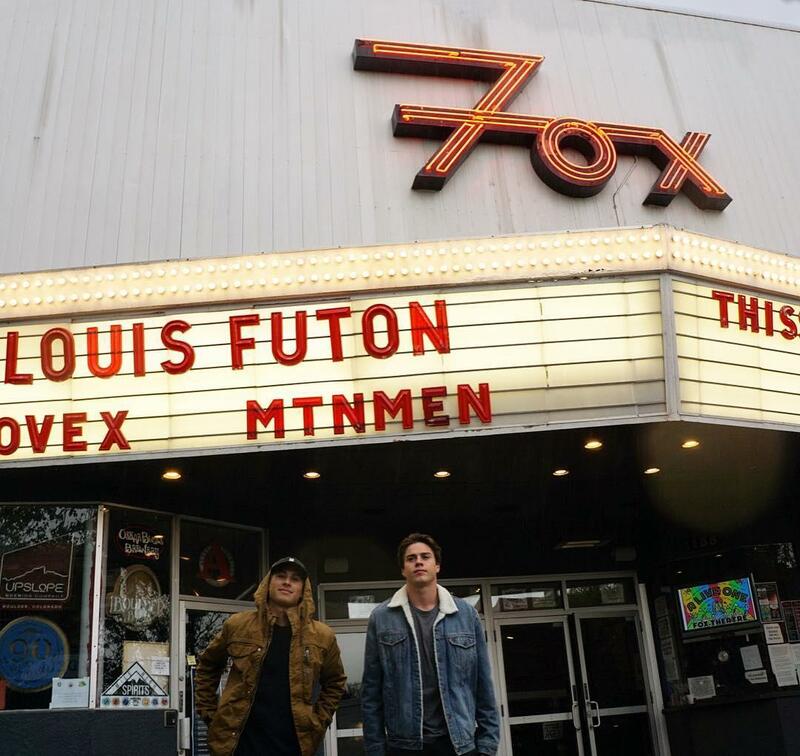 MTNMEN sold out The Fox with Louis Futon and shut down the Boulder Theatre with their "good friend" Dr. Fresch. The future is looking bright and full of opportunity for MTNMEN. They're "just getting started" and planning on putting out new music towards the end of the month. One track they're excited about features another local artist, Lexi Shanley, and they say the "release is going to be special." Besides their set at Welcomefest on Saturday, MTNMEN will also be performing in Denver at Beta Nightclub with Wuki and Slander at the Boulder Theatre on August 31st.